The crowdfunded sequel to famously bad 16-bit fighter Shaq-Fu will be slam-dunking its way onto multiple platforms in just a couple of weeks. For those of you who wish to show full commitment to O'Neal's return to videogames, Wired Productions have just the ticket. 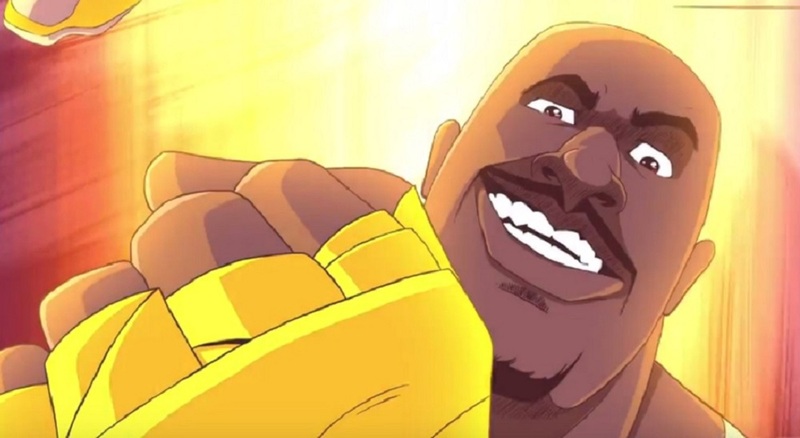 A Collector's Edition of brawler sequel Shaq-Fu: A Legend Reborn has been revealed by the publisher. Limited to just 500 copies, the set includes a shirt, bag, artbook, snapback (or "hat", as we used to call them), a lenticular art-card and a yellow vinyl of the game's title track, crooned by the big man himself. The set will cost around $94 with a copy of the game included, or can be picked up for $74 without. The standard edition of the game will retail for around $20 digitally, and $30-$40 for the physical release, the latter featuring exclusive DLC. The Limited Edition is now available for pre-order on Wired Productions website. If you need further convincing, then check out the video below, where Shaq himself will tell you all about it. Shaq-Fu: A Legend Reborn, launches June 5 on PS4, Xbox One, Nintendo Switch and PC.